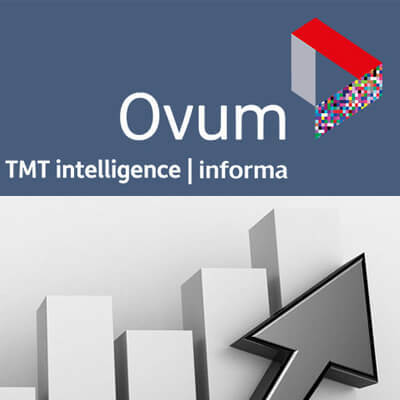 Market-leading research and consulting company Ovum put SEEBURGER´s core middleware product SEEBURGER Business Integration Suite (BIS) «On the Radar» and analyzed how it meets agile integration needs and digital business requirements. SEEBURGER BIS, the unified platform of the leading global provider of standardized industry-specific solutions for the digitalization of business processes, did convince. Integration is the key of today´s digital economy and middleware platforms enabling applications, data sources, services, devices and business entities to connect and communicate with each other play an important role. Saurabh Sharma, Principal Analyst at Ovum, reports about the SEEBURGER middleware platform: “SEEBURGER BIS is a unified platform for hybrid integration, and the API-led integration capabilities introduced over the last couple of years have simplified its use for digital business initiatives involving the use of APIs“. SEEBURGER BIS API solution consists of two key elements that enable API-led integration and end-to-end API management: BIS API manager (a web-based portal application) and BIS API gateway. Saurabh Sharma confirms ”The solution enables real-time application and data integration, including with software-as-a service (SaaS) applications or cloud-based data stores” and says that “by using SEEBURGER BIS API solution, enterprises can exploit the underlying capabilities of SEEBURGER BIS as a cohesive set of cloud-based integration services, or what Ovum defines as a “middleware-as-a-service” (MWaaS) suite”. Why put SEEBURGER on the radar? “Enterprises should consider SEEBURGER BIS to address hybrid integration needs via a unified and homogeneous middleware stack. SEEBURGER has executed well against a progressive middleware product strategy and roadmap to support digital business integration requirements, where API-led integration, API management, and hybrid integration using SEEBURGER Cloud Services are key areas of product enhancement/development“, says Saurabh Sharma. Susan Dilworth, Marketing Director of SEEBURGER Inc, is responsible for all of SEEBURGER's North American marketing and branding activities. She was raised in Germany - therefore, bilingual German/English which has dominated her communication skills and developed a substantial understanding of different cultures. Her daily work routine is driven by SEEBURGER's global marketing communication plan, media management, community networking, full service event production as well as SEEBURGER's social media management. She works closely with SEEBURGER's sales reps while implementing multifaceted array of services in the arena of account-based Marketing. 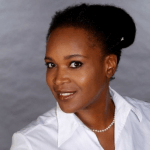 She is university-trained in Business Administration (University of Maryland, City Colleges of Chicago) as well as certified in marketing, media and advertisement. Additionally, she has five business development certifications to aid as tools and support each of her marketing career steps.